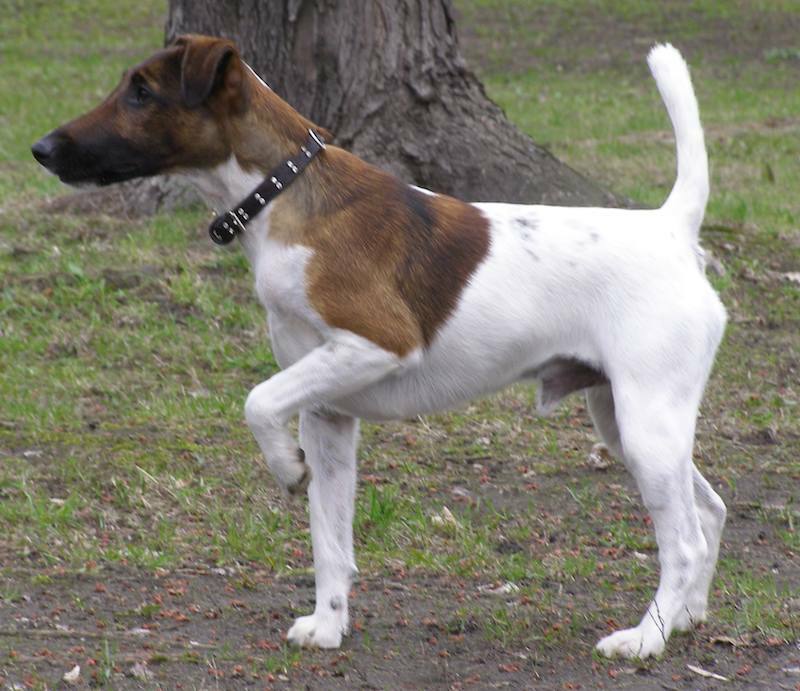 The Smooth Fox Terrier makes a challenging pet dog who is always ready for a bit of fun. Terriers have been known in Britain since the 15th century. The small, sturdy dogs were used to go to earth for their quarry. When fox hunting became the rage in the 18th century, terriers became members of the hunt whose job it was to kill the fox. 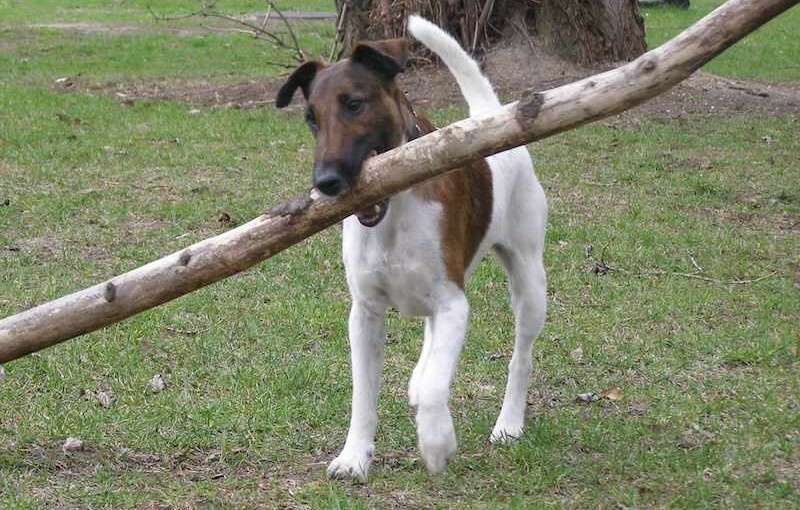 So most terriers were bred in hunt kennels and developed to the hunt master’s taste. The genes of several working terrier breeds went into the makeup of the Fox Terrier but breeding records were not kept until the introduction of dog shows in the 1860s. Smooth Fox Terriers first debuted at the Birmingham show in 1862 and quickly became the working man’s favourite breed. 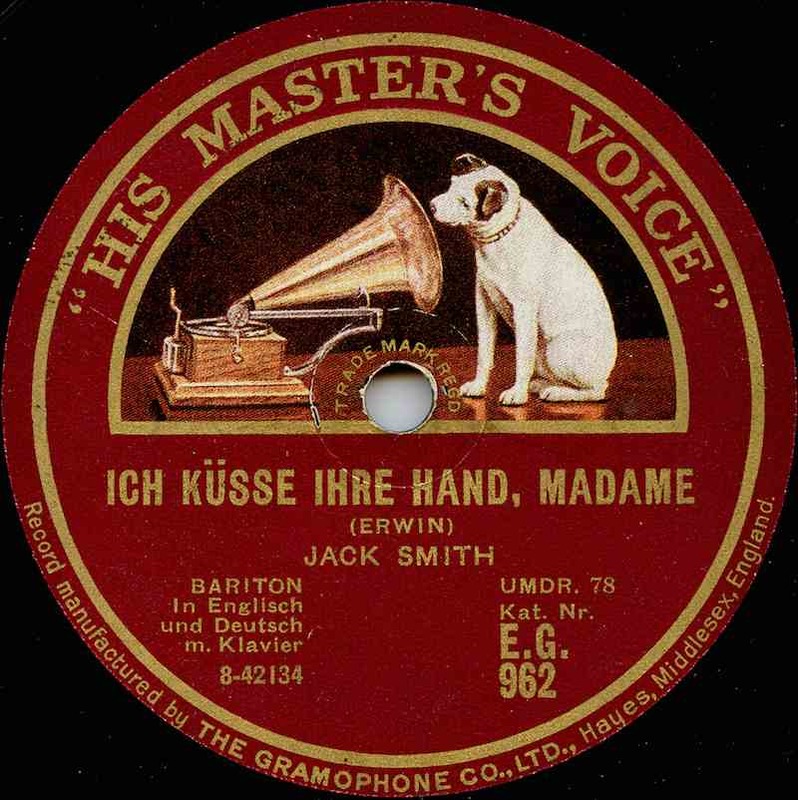 When introduced to North America in the early 1900s, the Smooth Fox Terrier dog breed caught the public’s eye when it appeared as a record company’s mascot pictured listening to ‘His Master’s Voice’ on the company logo. Temperament: Generally happy and lively, the Smooth Fox makes a challenging pet dog who is always ready for a bit of fun. These hearty, long-lived companions have a way of endearing themselves to families who like their dogs plucky, alert, and amusing. It’s been said that Smooth Fox Terriers are a bit less spirited than Wire Fox Terriers, but both fox terrier breeds make vigilant watchdogs and indefatigable childhood playmates. A well-socialized Smooth can coexist with other dogs. They’re cute and comical, but they are terriers: independent, strong-willed, and often ruled by their age-old prey drive. Activity Level: Active by nature, the Smooth Fox Terrier relishes action. He’s well suited to both city and country living provided he gets his daily walk. Height and Weight: A well-balanced dog should not exceed 15.5 in (39 cm) at the withers and should weigh about 18 lb (8 kg). Coat: The coat is smooth, flat, hard, dense and abundant. Colour: White should be the predominant colour, marked with black, tan or ginger. Grooming: Some hand-stripping may be necessary to keep the coat fitting neatly for the show ring. Otherwise, grooming is minimal.